There’s an unfortunately tragic update today on the status of the Justice League movie as The Hollywood Reporter brings word that Joss Whedon has come aboard to finish the Warner Bros. Pictures DC Comics adaptation. While the thought of the same man who first assembled Marvel‘s Avengers on the big screen doing the same for the Distinguished Competition may seem like potentially exciting news, it arrives marred by a personal tragedy for director Zack Snyder and his wife, producer Deborah Snyder. Two months ago, the Snyders lost their daughter, Autumn, to suicide. With Zack and Deborah taking time to spend with their other seven children, Whedon will finish the Justice League movie in time for its November 10, 2017 release. 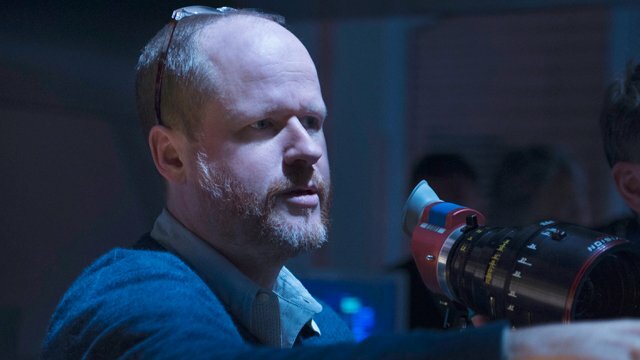 Whedon was previously revealed as the writer and director of DC Comics’ upcoming Batgirl movie. According to today’s trade report, Whedon was originally brought to the Justice League movie to script additional scenes. Justice League, which features a screenplay from Chris Terrio from a story by Snyder and Terrio, stars Ben Affleck as Batman, Henry Cavill as Superman, Gal Gadot as Wonder Woman, Jason Momoa as Aquaman, Ezra Miller as The Flash, Ray Fisher as Cyborg, Willem Dafoe as Nuidis Vulko, Jesse Eisenberg as Lex Luthor, Jeremy Irons as Alfred Pennyworth, Diane Lane as Martha Kent, Connie Nielsen as Queen Hippolyta, with J.K. Simmons as Commissioner Gordon, and Amy Adams as Lois Lane. While not in the official Justice League cast list released by Warner Bros., it is expected that Ciarán Hinds will play Steppenwolf, Amber Heard will appear as Mera, and Kiersey Clemons will appear as Iris West. The Justice League movie will retain its original release date of November 10, 2017.